Stephanie Yong, director of the Wilson Centre in the Edwards School of Business. Stephanie Yong is all about ideas. More importantly, the director of the Edwards School of Business' Wilson Centre (formerly the W. Brett Wilson Centre for Entrepreneurial Excellence) loves to take those ideas and build things from scratch. "A lot of people are great at taking something mid-way through and running with it—not me," said Yong, who has been in the role since 2011. "I love to start at the beginning of something and get to see how it progresses—even when it's not great, it's still fun and exciting to be a part of." The centre was launched in 2007, when alum (and notable dragon) Brett Wilson expressed an interest in giving back to the university. Initially a business hub that offered coaching and support in financial literacy, its focus has since shifted to ideation—that is, the brainstorming and problem-solving process that sets the foundation for a new business. Yong and her colleagues use a technique called design thinking, which is focused on human beings and how they function. "We observe human behaviour patterns, human functionality, human decision-making and the human psyche to pinpoint problems that already exist, and then come up with a solution for it,," she said. Last summer, the centre moved from its campus location to new digs—a sprawling, 4,200 square-foot space at Innovation Place—where students, local entrepreneurs and members of the business community can test the waters in the Idea Lab, "a space for people to be able to think very creatively and freely," explained Yong. They can even build low-fidelity prototypes (think Popsicle sticks, yarn and sequins) of their idea. The Wilson Centre boasts some notable alumni, including 3Twenty Modular, a company that converts old shipping containers into modular housing and office structures; Thrive Juice Co., Saskatoon's own cold-pressed juice makers; and Magnoplug, a new take on the three-pronged block heater plug that snaps into place with magnets. 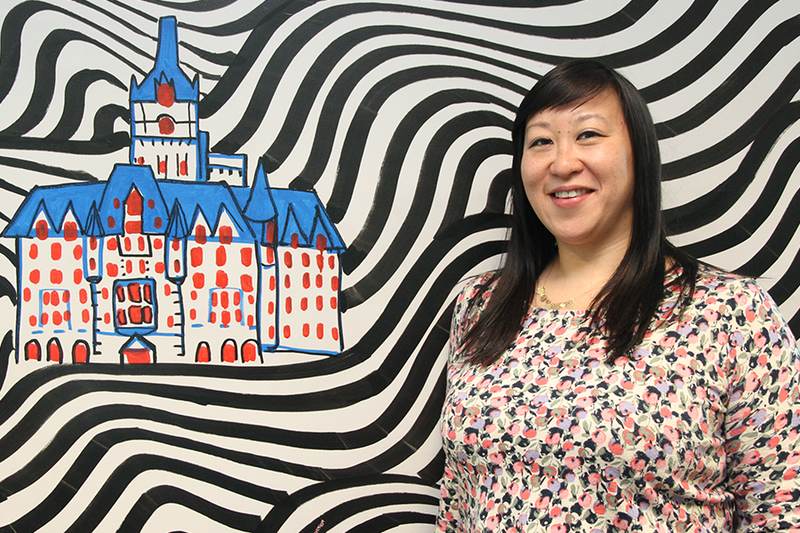 An Edwards MBA graduate and former business owner herself, Yong is passionate about fostering the creative side of people. "I jumped at the opportunity to be able to share some of the knowledge that I had learned from being an entrepreneur myself and applying it to a centre that teaches start-ups."